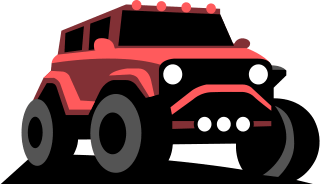 SUVS.com - Find New & Used Local Cars! This statement governs information you provide to us or that we learn from you and other users of the Service (individually "User" or collectively, "Users") through use of the Service, and describes how we may collect, use, and disclose this information. User Provided Information. You may provide to Company what is generally called "personally identifiable" or "personal" information when you register or use the Service, such as your name, e-mail address, gender, physical address, telephone number, and credit card number, as well as a variety of other personal information such as information about your demographic profile and interests. Any time you enter information into a form or other data entry field available on the Service, Company collects and stores any personal information you include. Aggregate Data. Aggregate data is data we collect about a group or category of features, services or individuals, from which individual identities have been removed. For example, information about how you use a feature may be collected and combined with information about how others use the same feature, without any personal information included in the resulting data. "Cookies" Information. When you use the Service, we may send one or more cookies – small text files containing a string of alphanumeric characters – to your computer. Company uses both session cookies and persistent cookies. A persistent cookie remains after you close your browser and may be used by your browser on subsequent visits to the Service. By using these cookies, we can "remember" what you have done on the Service before and personalize our site for you. These persistent types of cookies can be removed, but each web browser is a little different, so please look through your browser "Help" file to learn the correct way to modify your cookies set-up. Please note that disabling cookies may prevent you from accessing some of the functionality available via the Service. In addition, in order to recognize you, store your preferences, and track your use of any application, we may store your mobile device IDs (the unique identifier assigned to a device by the manufacturer) when you use the Service. Unlike cookies, mobile device IDs cannot be deleted. "Automatically Collected" Information. When you visit the Service or open one of our HTML emails, certain information from your web browser, mobile device or email client may be recorded through use of different types of technology, including "clear gifs" or "web beacons". This "automatically collected" information may include your Internet Protocol address ("IP Address"), mobile device type, web browser type, the web pages or sites that you visit just before or just after the Service, the pages you view, and the dates and times that you use the Service. Without limiting the generality of the foregoing, we also allow analytics companies to use tracking technologies to collect information about our Users computers or mobile devices and their online activities. These companies analyze this information to help us understand how the Service is being used. Analytics companies may use mobile device IDs, as described in the paragraph above. Third Party Buttons . We may implement third party buttons (such as Facebook "like" or "share" buttons or Twitter "tweet" buttons) that may allow third parties to collect information about you through such third parties' browser cookies, even when you do not interact with the button. Information collected through buttons is collected directly by these third parties, and Company does not participate in that data transmission. Information collected by a third party in this manner is subject to that third party's own data collection, use, and disclosure policies. Providing and Supporting the Service. Company uses the information that we collect to provide to you all of the features and services found on the Service. We will use your email address, without further consent, for non-marketing or administrative purposes such as notifying you of major Service updates, responding to your requests, and sending you other types of notices. Improving the Service. Company may use all of the information that we collect from our Users to understand usage trends and preferences, to improve the way the Service works and looks, to improve our marketing and promotional efforts, and to create new features and functionality. Monitoring the Service. Company may use automatically collected and cookies information to: (a) remember your information so that you will not have to re-enter it during your visit or the next time you visit the Service; (b) provide custom, personalized advertisements, content, and information; (c) monitor the effectiveness of our marketing campaigns; and (d) monitor aggregate usage metrics such as total number of visitors or users and pages viewed. Marketing the Service. Company may use your email address or other personally identifiable information to send promotional or marketing messages relating to the Service, which you will have the ability to opt-out of. Company discloses information that we collect through the Service to third parties for a variety of purposes, including those described below. Operating the Service. Company may disclose both personally identifiable and automatically collected information to certain third parties to process such information on our behalf, to provide website or other services, maintenance, and security, to manage our contacts and send out promotional messages on our behalf, to assist us in improving the way the Service works and looks, and to create new features. Generally, such disclosures are made under obligations of confidentiality. Aggregate Data. We may share automatically collected and aggregate data with interested third parties to assist them in understanding the interest and usage patterns for certain information, products, services, data, content, advertisements, promotions, and/or functionality on the Service. Legal Rights and Interests. Company may share personal information about Users with third parties when it believes that such a disclosure is appropriate to carry out a User's request or it reasonably believes that doing so is legally required or is in Company's interest to protect its property or other legal rights or the rights or property of others. Third-Party Marketing. We may sell or render access to User information, including contact information, to third-party organizations for their use in marketing or promoting products or services that they believe you may be interested in based on your use of the Service. For example, if you express a desire to be contacted about a listing with particular features, we may provide your information to third parties so that they may contact you directly regarding their listings that may be similar to the one you expressed interest in. Change in Control. Information about our Users, including personally identifiable information, may be disclosed or otherwise transferred as part of any merger, acquisition, debt financing, or sale of Company assets, as well as in the event of an insolvency, bankruptcy or receivership in which personally identifiable information is transferred to third parties as one of our business assets. Public Areas . Any information that you voluntarily choose to include in a publicly (or semi-publicly) accessible area of the Service, such as a public profile page or communications you may initiate or engage in through the Service, will be available to anyone who has access to that content, including other Users. We cannot control who reads your posting or what other Users may do with the information you voluntarily post, so we encourage you to exercise discretion and caution with respect to your personal information. You may, of course, decline to share your personally-identifiable information with Company, in which case Company will not be able to provide to you some or all of the features and functionality found on the Service. If you receive promotional email from Company, you may unsubscribe at any time by following the instructions contained within the email. Even after you opt-out from receiving promotional messages from Company, you will continue to receive administrative messages from Company regarding the Service. To protect your privacy and security, we take reasonable steps to verify your identity before granting Users' profile access. YOU ARE RESPONSIBLE FOR MAINTAINING THE SECRECY OF YOUR UNIQUE PASSWORD AND ACCOUNT INFORMATION AT ALL TIMES. You may request that we use commercially reasonable efforts to delete your information by contacting us at support@suvs.com. Consistent with the federal Children's Online Privacy Protection Act of 1998 (COPPA), we do not knowingly collect personally identifiable information from anyone under the age of thirteen (13) without parental consent. Any person who provides their personal information to Company through the Service represents that they are 13 years of age or older. If you believe that we have collected information from an individual under the age of 13, please contact us so that we may take appropriate steps to address the issue. No data transmissions over the Internet can be guaranteed to be 100% secure. Consequently, we cannot ensure or warrant the security of any information you transmit to us and you do so at your own risk. Once we receive your transmission, we take steps to protect your information from unauthorized access, disclosure, alteration, or destruction, which may include use of industry standard technologies and procedures. However, please note that this is not a guarantee that such information may not be accessed, disclosed, altered, or destroyed by breach of such firewalls and secure server software. If Company learns of a security systems breach, then we may attempt to notify you electronically so that you can take appropriate protective steps. By using the Service or providing personal information to us, you agree that we can communicate with you electronically regarding security, privacy, and administrative issues relating to your use of the Service. Company may post a notice on the Service if a security breach occurs. If this happens, you will need a web browser enabling you to view the Service. Company may also send an email to you at the email address you have provided to us in these circumstances. Depending on where you live, you may have a legal right to receive notice of a security breach in writing. To receive a free written notice of a security breach (or to withdraw your consent from receiving electronic notice) you should notify us via email at support@suvs.com.